In addition to cashews, this family also provides humans with mangos and pistachios. Something we can all rejoice in. On the other hand a few other members of Anacradiaceae are amongst the most dreaded plants in North American. The genus Toxicodendron (from the Greek words “toxikos” and “dendron” meaning poison tree) contains poison oak, poison ivy and poison sumac. Technically, these plants are not poisonous. They produce an oil called urushiol which is an allergen. This would explain why contact with these plants can affect people so differently. A couple members of this genus are economically important. Taxicodendron vernicifluum and Taxicodendron succedaneum are used in the production of fine lacquers and Japan wax. 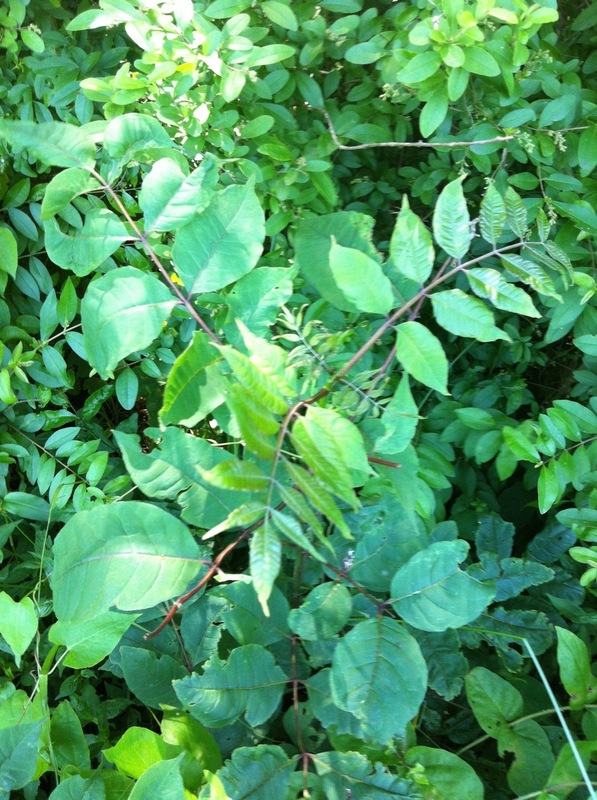 If you think you are seeing more poison ivy in recent years it is not your imagination. Over the past decade or so not only has the population been steadily increasing but the virulence of the plant seems to be on the rise as well. It is not known for certain as to why this is happening but one theory is that the plant responds in a very positive way to the increase in the amount of carbon dioxide in the atmosphere. Whatever the reason, it is now one of the more dominant plants along roadsides and in the understory of forest where it wasn’t before. It probably would not hurt of review basic identification characters for these plants. Poison ivy and poison oak, which doesn’t occur in Pennsylvania, and poison ivy are woody vines or small shrubs that have three leaflets. 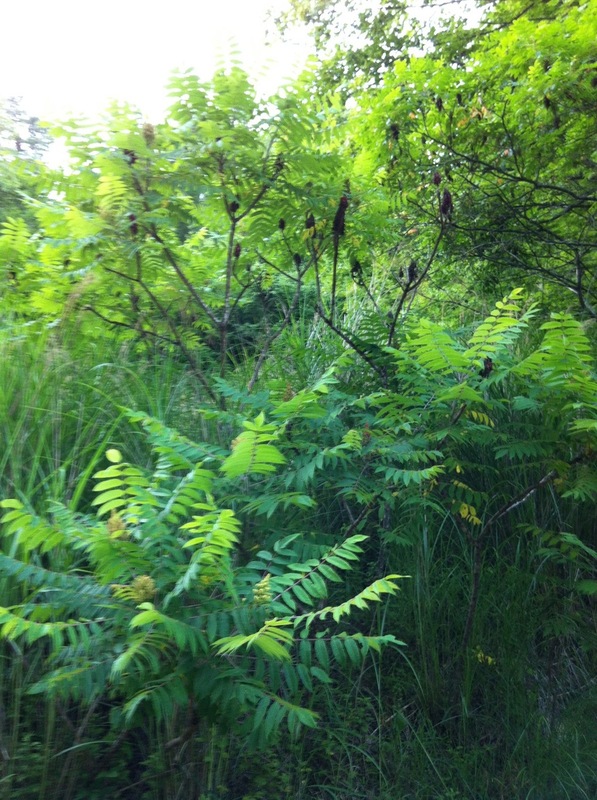 Poison sumac is a shrub that has 7-13 leaflets. 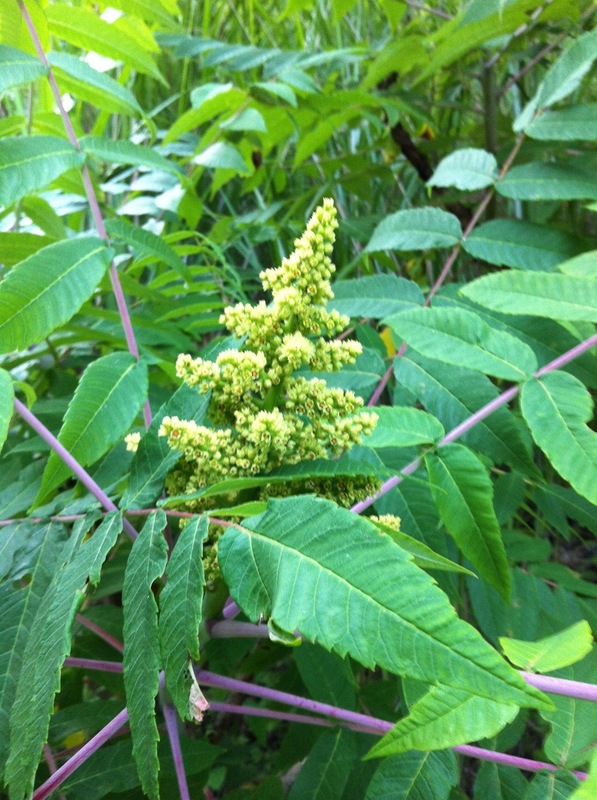 The stems of the sumac leaves are red. All three have white berries. The only species of this family that is non-native is Cotinus coggygria (smoketree). It is a popular ornamental plant and can occasionally be found in a "feral" state along roadsides or persisting in old homesteads or urban lots. All members of this family have leaves that turn brilliant colors in the fall. Rhus typhina (staghorn sumac) in particular, is a common shrub found along roadways and on mountain sides adding significantly to fall color palette. Pennsylvania species of Anacardiaceae as found in Rhodes and Block (2007).